Sustainable, sustainability, sustainable development – these are terms that have become so overused that, for many, they have lost their impact. The words have become clichés, rather than touchstones. And yet, for our purposes, a definition is important. The Commission, formally known as the World Commission on Environment and Development, explicitly linked environmental sustainability with economic development for the first time. The third pillar of sustainability is social equity – the needs of future generations must not be dismissed by the current generation. At its core, sustainability is about economic growth while responsibly preserving natural and national resources. 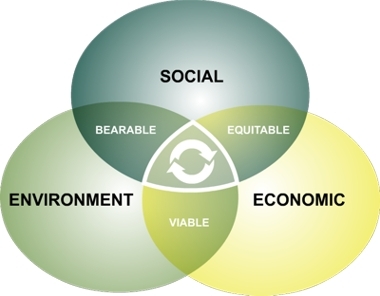 Thus sustainable development links economic prosperity with environmental stewardship, social equity, and cultural diversity. For small island nations these linkages are even more pronounced due to their geographic isolation. In a recent op-ed piece Tom Friedman, a columnist for The New York Times, described sustainability as “behaving responsibly in the market and with Mother Nature so we can have growth that lasts.” He suggests such a notion has less to do with business plans and more to do with values. I like this simpler, more user-friendly description of what sustainability is all about. It suggests the inextricable linkage between the economy, the environment, and the social fabric woven through each society, country, and culture. So what is a sustainable island? More precisely, is there anything about sustainability that is unique to islands or island states? I would answer, yes. Because of their isolation the forces that affect sustainable development are magnified on islands. Once an environmental resource is depleted it cannot be replaced except, perhaps, at great cost via imports. Markets are, by definition, smaller and therefore limited in their growth potential. Social justice issues become more pronounced due to the close proximity and interwoven connections of the local population. A fair argument can be made that in today’s world of instant communication and low cost transportation these forces are lessened, even on small island states. But this argument raises false hopes. It suggests we can put off decisions until tomorrow. That line of reasoning also dismantles the pillar of social equity – without which the very foundation of sustainability disintegrates. A sustainable island, therefore, holds as a core value the belief that environmental resources must be protected and preserved, and that economic growth must be balanced by fairness and opportunities for all islanders. Such an approach, I believe, is neither progressive nor conservative. It is, quite simply, humane. And it is one that all island nations, in order to prosper, need to adapt.